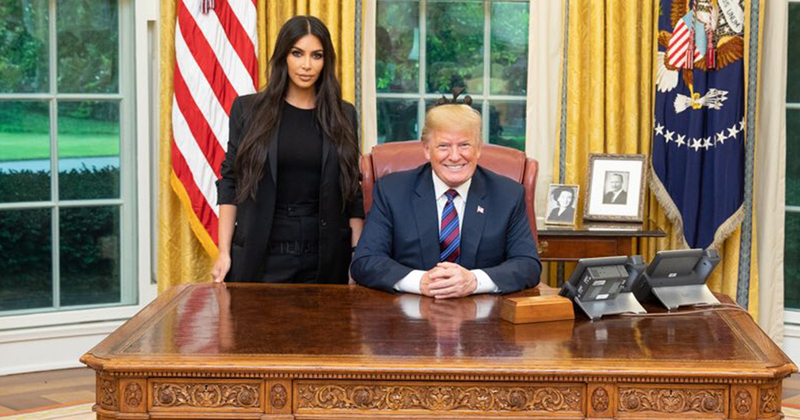 Kim Kardashian meets with US President to discuss prison reform – Royal Times of Nigeria. President Donald Trump met with Kim Kardashian on Wednesday in the Oval Office, where the reality star asked for a pardon for Alice Johnson; a sixty-two-year-old woman serving a life sentence on a first-time drug offense. Ahead of the meeting, the Keeping up with the Kardashians star said she intended to seek a reprieve for Alice Johnson. For months she has campaigned on the great-grandmother’s account through back channels with presidential adviser Jared Kushner. Kardashian met with Trump’s son-in-law at the White House prior to her visit with the president. Johnson has served more than twenty-one years in prison for her drug conviction, a case that caught Kardashian’s eye earlier this year. Kardashian connected with Ivanka Trump and Kushner, who has a personal interest in prison reform.